Photo credit: The Irish Independent. The Pope has removed three cardinals from the C-9. VATICAN CITY - Pope Francis has removed esteemed cardinals including George Pell from the C-9 (Council of Cardinals) following a string of sexual abuse accusations against their names. The cardinals, who have been tangled up in allegations of paedophilia for some time now, will not be replaced by new members any time soon, according to a Vatican representative. George Pell, the Cardinal in charge of the Secretariat for Economic Affairs, is facing prosecution in Australia for sexual offences. It is yet to be revealed whether Pell will retain his position in the Treasury, a role which makes him one of the institution’s most powerful individuals. Chile’s Francisco Errazuriz has also been removed, after accusations of concealing sexual abuse while serving as archbishop of Santiago. Retired archbishop Cardinal Laurent Monsengwo Pasinya of Kinshasa was the third to lose his position in the council, at the age of 79. According to Il Messaggero, it is likely the pontiff is awaiting the outcome of Pell’s trial before replacing the cardinals. According to the Australian press, it is likely he will be found guilty of the offences, despite having strenuously denied the allegations. 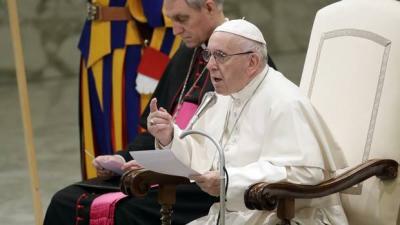 “The Holy See holds utmost respect for the Australian judicial authorities. We are aware that they are not allowed to talk about the case, and we respect this,” the director of the Vatican Press Room, Greg Burke, recently announced. Many concerns have been raised as of late about child sexual abuse and other scandals in the church. Many people are troubled by the fact that the church’s direction is being determined by men who have been accused of serious offences. The fact that many members of the C-9 are elderly - Pell is 77, while Errazuriz is 85 - has also greatly troubled some Italians. The C-9 was created with the aim of reforming the bureaucracy of the Vatican. It sets out the Vatican's policies and future aims.